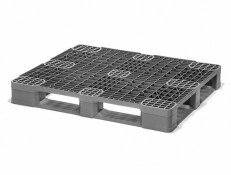 The SKIDS- 100 Plastic Skid is a high quality, cost-effective pallet measuring 48” x 40”. 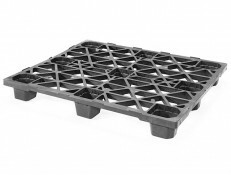 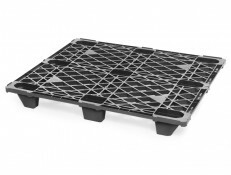 Made of recycled materials, this skid is stackable for optimal storage opportunities. 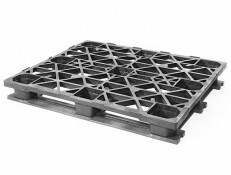 With a four-way entrance, you’ll have no problem moving this skid from place to place at your site. 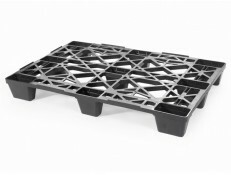 Use this skid as the base for a retail display, or as a convenient resting place for whatever you need. 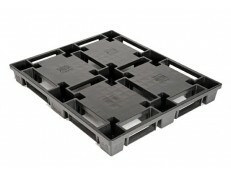 Order your plastic skids today from Skids.com!